Join us as we discuss with bestselling author and father of organizational culture studies, Edgar Schein and Peter Schein as they trail-blaze with a creative perspective on leadership that encourages openness and trust as a form of strength. The more traditional forms of leadership, based on static, or even, transactional hierarchies, is growing increasingly outdated and ineffective. Without the ability to communicate with their peers, leaders become alienated from their followers and productivity and quality are sacrificed. 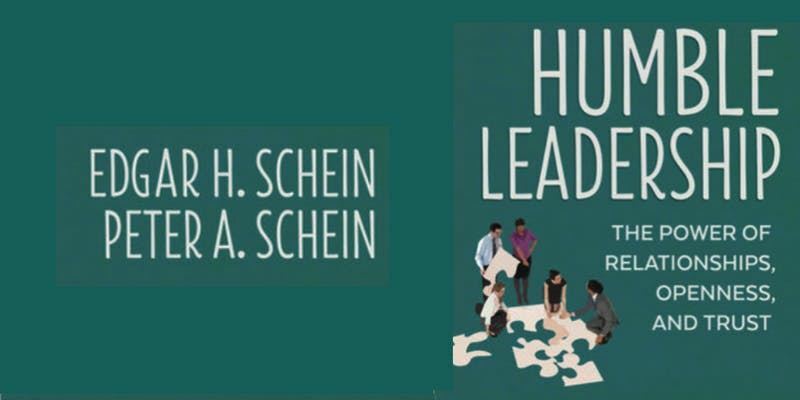 The authors Edgar Schein and Peter Schein recognize this reality and call for a reimagined form of leadership that coincides with emerging trends of relationship building, complex group work, and diverse workforces. Gaining a deeper understanding of the constantly evolving complexities of interpersonal, group and even intergroup relationships requires shifting our focus towards the process of group dynamics and collaboration. Please join us for this ISODC webinar and conversation about the humble leadership paradigm and the importance of studying how things are done through collaboration and humility. The Scheins will show us how human connection in the workplace is an opportunity for growth and success. Reading the book before the webinar is recommended. The webinar will be open to the first 500 people who log into it. All who register will be sent the link within 24 hours of the webinar for viewing. The webinar link will be sent to all registrants on the morning of the webinar. Questions?